I’m excited to welcome a guest post by The Little Red Hen! She read and offered to review a book for The Raunch Dilettante. To Tempt the Devil is a fun, flirty read with some lovely steamy bits. It takes place in Shakespearean London, and tells the story of a somewhat reformed mercenary who is caring for his brother James’s fianceé while James is locked up in debtor’s prison. Only Lizzy and James aren’t engaged, just betrothed. Wait, no, they just have an understanding. Confused yet? Having been forced together, sparks fly between the sweet, innocent Lizzy and the tall, dark, and violent Rafe. The two are wracked with guilt, as Lizzy and James have an understanding that they will marry someday. Will they? Won’t they? It’d be a pretty boring book if they didn’t, but I won’t spoil it. The banter between Rafe and Lizzy is adorable, if not entirely appropriate to the time period. 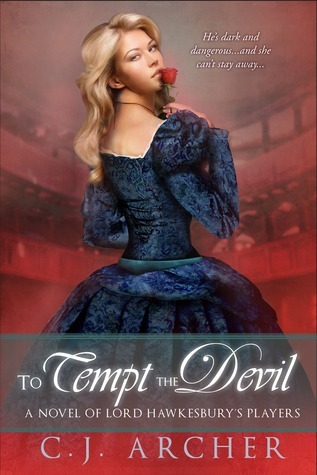 As a fan of historical romance, I enjoyed the setting, and Ms. Archer includes fun tidbits to set the scene, including cameos by historical figures. The writing isn’t going to win the Nobel prize for literature with statements such as, “He…picked some logs off a log pile.” My inner editor cringed at that one in particular, but if you can look past that, it’s a nice little escape from reality.